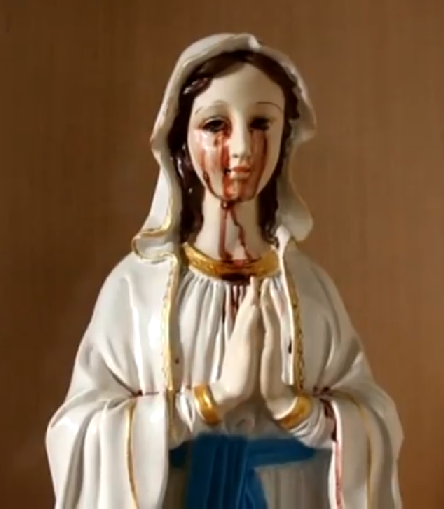 On Saturday 14 July 2012, in Ghaziabad, Uttar Pradesh, India, a statue of Mary, brought a few months before from St. Paul’s Centre, New Delhi, shed tears of blood. This event captivated many Christians and members of various other Faiths. 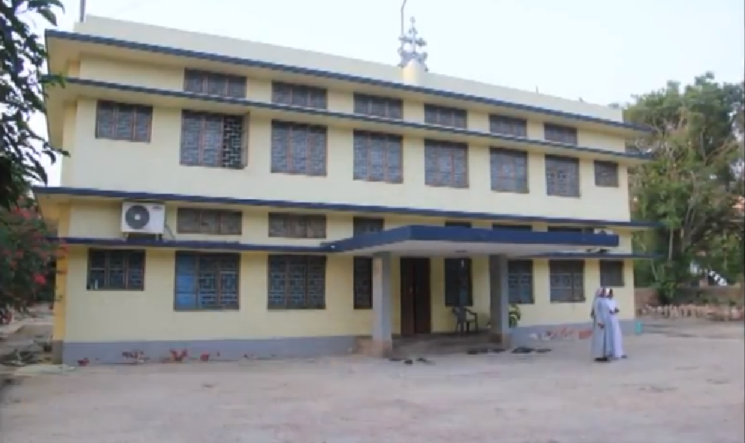 The incident took place in the community chapel of the CMI Bhavan of the Carmelites of Mary Immaculate in Mariam Nagar, Ghaziabad (Near Delhi), India. Around 11.30 am, Sunita, a domestic helper at the institution, saw the tears of blood oozing from the eyes of the statue. She tried to wipe off the blood, but the flow continued. Fr. Joy Kizhakkayil CMI, the priest in charge, said he saw Sunita kneeling before the statue, shivering, praying and crying aloud to Mother Mary. A senior staff-nurse working in New Delhi, named Mary was present at the monastery when the event transpired. She said she noticed the tears of blood, and she touched it with reverence and apprehension. “The news spread fast and people started rushing to the chapel,” said Brother George CMI. About 65 Catholic families residing in the surrounding areas rushed in to view the wondrous incident. By nightfall, around three thousand people visited the statue. Due to the surge of people, the police were called in. The following day when Fr. 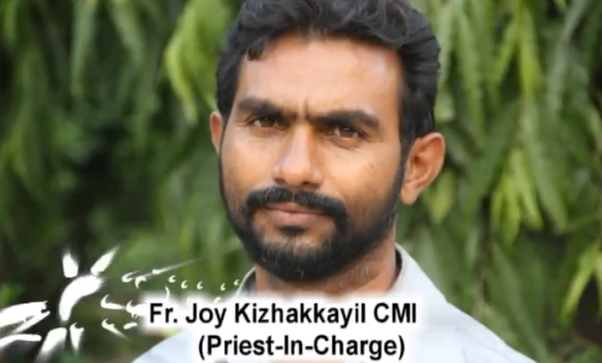 Kizhakkayil came to the chapel to offer Holy Mass, he saw a heavy stream of blood coming out of the statue. The priest said they got samples of the fluid tested at the nearby St. Joseph Hospital. “The result has shown that the blood group is B+,” he added. The bleeding occurred four times on three consecutive days from July 14, 2012. The Church authorities moved the statue to St. Mary’s Assumption Church – the parish church of Mariam Nagar, Ghaziabad. As far as I know, up to now, no cynic has come forward to detract or deprecate this event, nor anyone has come up with a rational or scientific explanation. So, you be the judge. Previous PostAre the Creation-Flood Stories Myth or History?Next PostSix Word Saturday – August 25, 2012 : A Lamp Post? 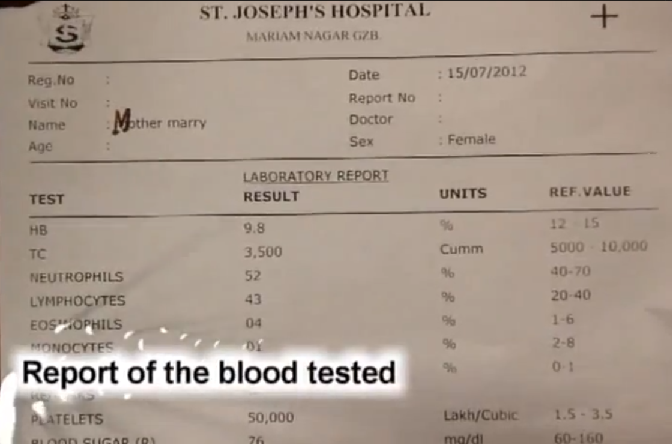 Wonder why Mother Mary is anaemic and has low platelets ! Amazing, I got goose bumps through my whole body just watching this video! We can’t pray enough, praise be to God! Peace to the World!